I have a theory that people who don’t read aren’t happy people. Or at least, they’re not as happy as they could be. It’s a highly unscientific theory, and maybe a little unfair, but think of some famous readers you know, then think of someone who famously doesn’t read, and decide for yourself whether I might have a point. Actually, it turns out that I’m not entirely wrong. Science is discovering that to be a happier, healthier, and overall better person you do need to read…fiction. Apparently (and unsurprisingly) reading fiction teaches empathy, provides a sense of belonging, and relieves stress. It helps with cognitive and social skills–it might even help you live longer. And it offers a healthy escape from a not-so-healthy reality. Anyone who reads both non-fiction and fiction will recognize the difference in the two experiences. Much as I enjoy non-fiction, it’s rare to get lost in facts. Non-fiction is interesting, it can make you excited about learning–but it doesn’t capture you. Fiction makes you part of the story, it lets you live another life. A good work of fiction will lead you to happily blow off everything else you had planned for the day, just so you can keep reading. For me, fiction shows the possibilities of what could and can and does exist. Fiction is proof of the power of imagination. And it’s good for you too. Read some fiction right now–download my FREE short story Blood Magic. Check out this new review of Blood Magic on Vamped.org. Find out more about why reading fiction is good for you. I recently came across an article about how art can improve your writing. I was intrigued; as an art lover, I was excited to find out how one obsession could affect the other. Unfortunately, the article didn’t offer anything particularly insightful. Some was puzzling: “Keep it Interesting.” Well, yes, that’s the idea–I doubt any writer is deliberately going for a boring story. Some artists strive for beauty and create masterpieces. Some explore the ugliness of the world and do the same. Never mind the sheer subjectivity of a concept like beauty, if all art were “beautiful,” how dull would that be? And writing is no different. Writers who aim only for beauty not only won’t be able to “Keep it Interesting,” but will also lose most of the humanity they’re supposed to be finding. Focusing on what’s lovely is the best way to miss what’s interesting. So, can art help your writing? I think so. Creative and artistic pursuits are complementary; the more you immerse yourself in art and creativity, the more inspired your work will ultimately be. I also believe there’s one key rule that applies universally: do it with passion, or don’t do it at all. If you have a burning desire to tell a story (compose a song, sculpt, sew, whatever), then that’s what you should be doing. If you think it would be a neat hobby to try in your free time, then great–have some fun while you pursue your real passion. But if you’re meh about what you’re doing (maybe you’re motivated by ‘should’ rather than ‘must’), the results will reflect that. The people who are great at what they do have passion for it. Find your passion and go be great. If you’d like to read the original article, you can find it here. What do you think? Do you have any tips for how art can improve writing (or vice versa)? Share in the comments. Don’t forget to get your free copy of my new short story “Blood Magic.” Myth and magic collide in this story about choices, transformation, and retribution. Available here and at most online booksellers. My new short story “Blood Magic” is now available FREE to download! On the run from both vampires and hunters, Mara and Lee are forced to confront the bleak reality of their future together. But an unexpected turn of events offers Mara the chance to shift things in her favor–at a cost. Will she walk away or will she embrace the magic? Blood Magic is a standalone short story that takes place within my novel Love Lies Bleeding. 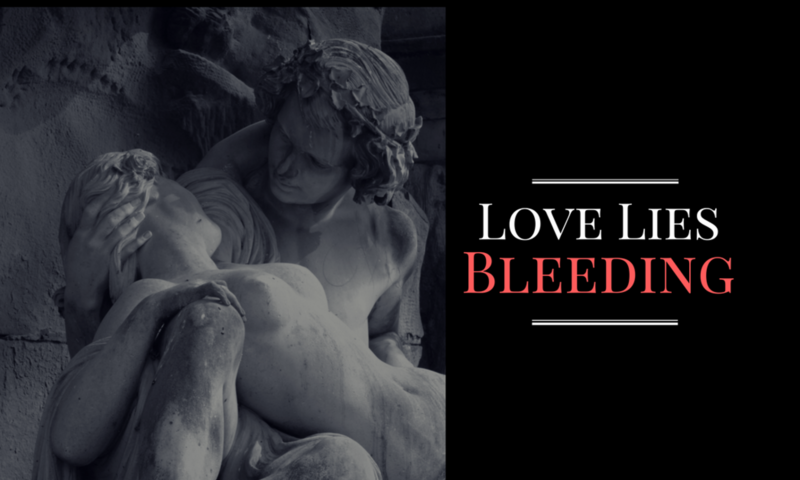 You don’t need to read Love Lies Bleeding to enjoy Blood Magic (but it doesn’t hurt). Click to get your copy: Blood Magic.